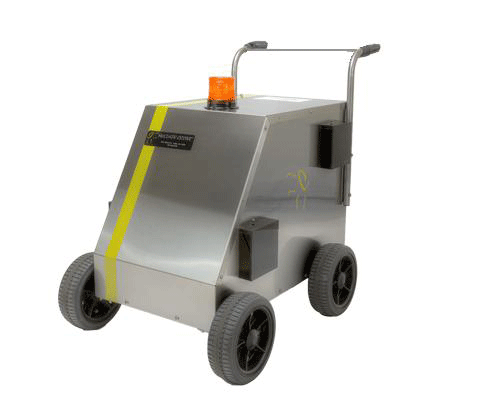 With over 22 years of experience in using ozone as a natural sanitizer, McClain Ozone offers mobile cleaning and sanitizing solutions in a variety of industries. Within their Ozone Sanitation Systems, they use two custom-made Smart Products NPT style check valves: the Model #314 and the Model #204. "The Smart Products check valves were selected initially due to the availability of the connections, a 1/8" MNPT and a 1/4" FNPT, as well as the seal materials. We have since transitioned through several types of seal materials and have come to rely on the consistent quality of the products, but more so on the valuable input from the Product and Application Specialists at Smart Products," says CEO John McClain. 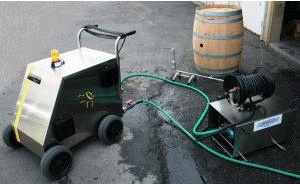 Especially popular with the wine and brewing industries, McClain's Ozone Sanitation Systems are used to sanitize barrels, vats, bottling lines, and processing equipment. They can also be used for gassing barrel rooms. Additionally, McClain provides sanitation and gassing systems to a wide variety of other marketplaces. From mitigating bed bugs and insects in hotels, homeless shelters, etc. to sanitizing drinking water tanks for airlines and beyond, McClain's use of ozone provides a natural, yet very powerful sanitizer. 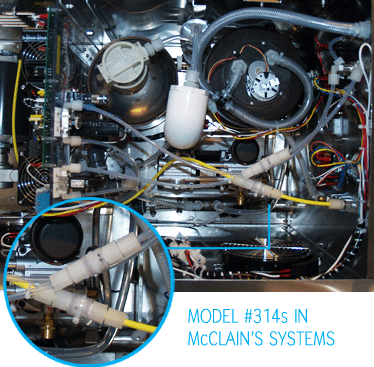 For precise flow control in McClain's systems, the Model #314 is used in both the oxygen gas line and the ozone gas line. This valve protects the oxygen concentrator from water, in the event there is problem with the system or a customer's hook-up connection point. The Model #204 check valve is used as part of the safety system. Like all Smart Products valves, both the #314 and #204 were uniquely built by plastic body, o-ring, and opening PSI exclusively for McClain Ozone. 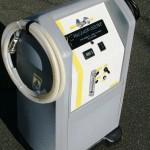 Available in the United States, Europe, South and Central America, Canada, Mexico, Australia, and New Zealand, these units provide "ozone on demand" sanitation solutions. To learn more about McClain Ozone, click here. If you're looking for a NPT check or pressure relief valve, Smart Products offers several options in addition to the #314 and #204, to include the Model #103 and Model #109, Model #312, and all Series 200 valves. Both the Series 300 and Series 200 are modular style valves, which allows further customization with their mix and match end fitting options.